The crown prince was asked about Khashoggi at the start of a session of the Future Investment Initiative conference in Riyadh — meetings that some business and political leaders chose to avoid as the international community rejected Saudi Arabia’s shifting explanations for how Khashoggi died at its consulate in Istanbul earlier this month. Turkish officials say Khashoggi, a noted critic of the ruling regime, was murdered. He also accused critics of trying to use Khashoggi’s death to “drive a wedge” between Saudi Arabia and Turkey — something he said would not be allowed to happen. Khashoggi’s death has brought unwanted scrutiny and pressure on Saudi Arabia. 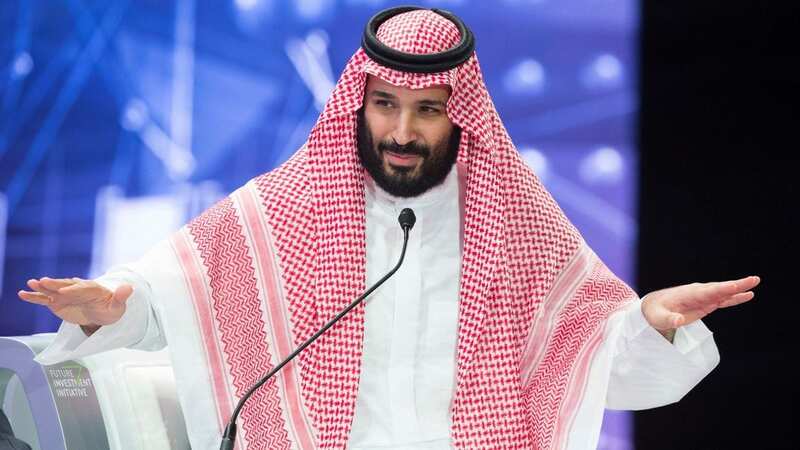 The crown prince spoke one day after Turkish President Recep Tayyip Erdogan said Khashoggi had been “brutally murdered” in an operation carried out by a 15-member team who had carefully plotted their actions. Trump also delivered his most direct criticism of the prince and the Saudi response yet, in an interview with The Wall Street Journal. The Khashoggi killing, and the Saudis’ response, has altered perceptions of both the Davos-like conference and the crown prince, who has a history of resorting to very direct means to attain his goals. Anyone wanting a reminder of that context at Wednesday’s session didn’t have to look far: Sitting on stage next to Crown Prince Mohammed was Lebanon’s Prime Minister Saad Hariri, whom the prince was accused of detaining and forcing to resign during a trip to Saudi Arabia last year. Crown Prince Mohammed smiled as the audience whistled and clapped; he and Hariri shook hands as they continued laughing. After he addressed the question of Khashoggi’s death, the prince then launched into his prepared remarks about the session’s topic: how Saudi Arabia hopes to develop its economy beyond its oil industry.